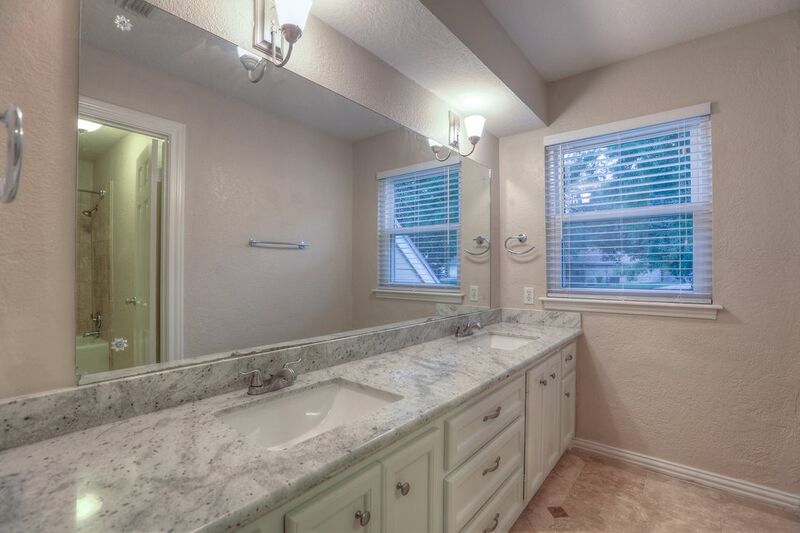 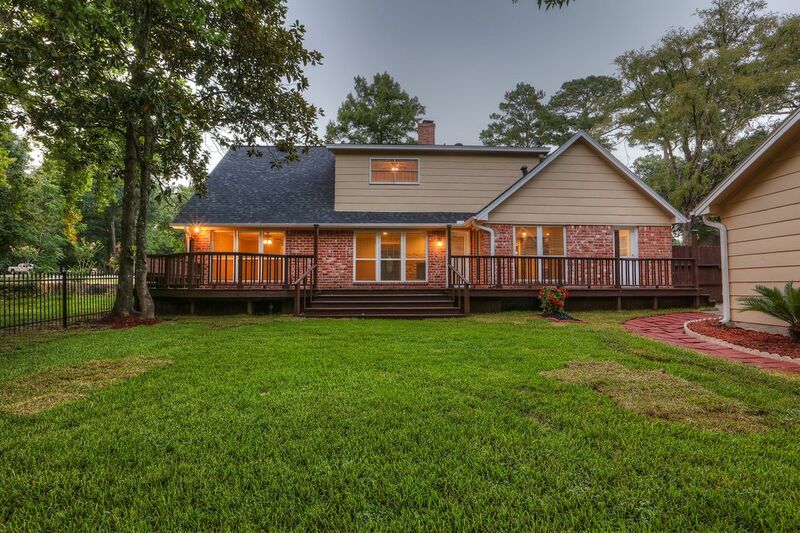 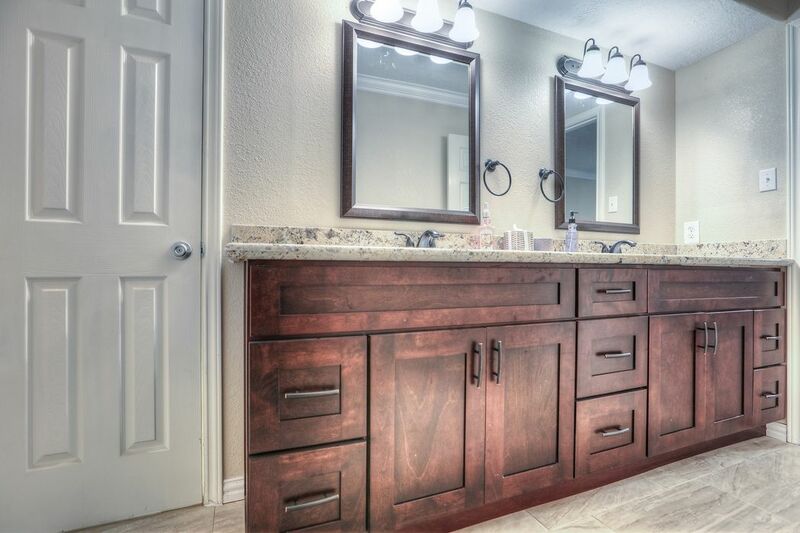 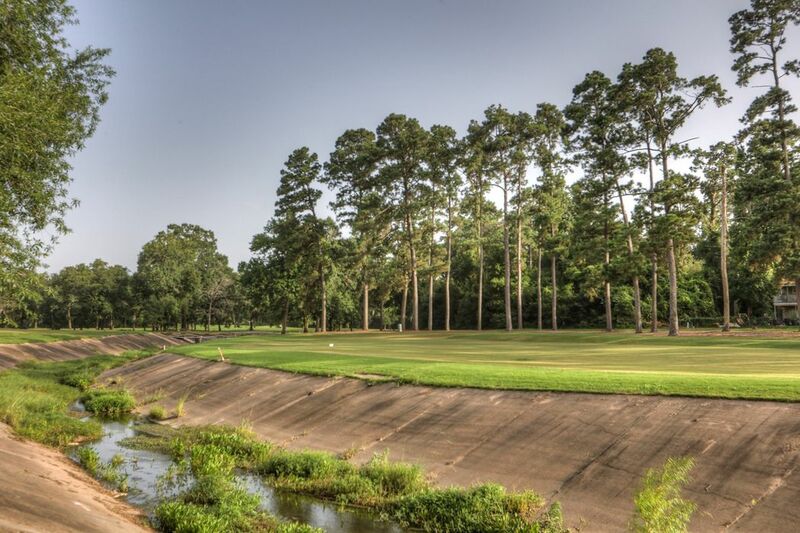 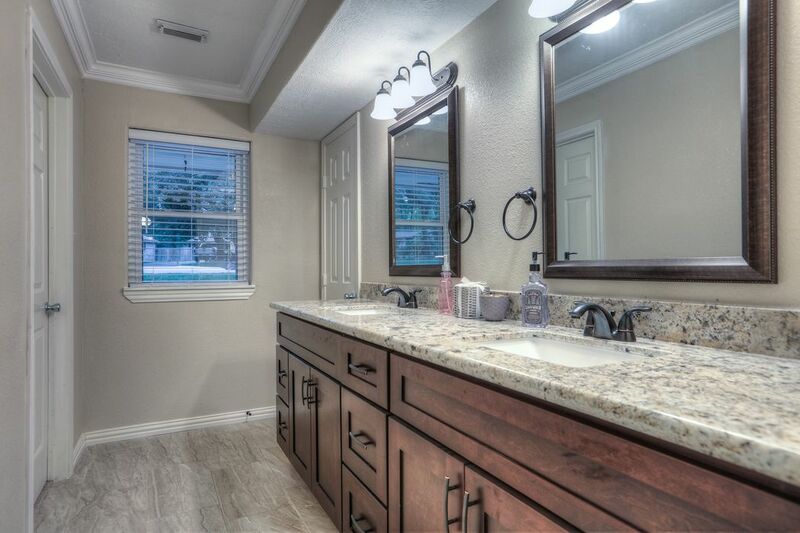 812 Stone Mountain Drive, Conroe, TX 77302 | Martha Turner Sotheby's International Realty, Inc.
$205,000 4 Bedrooms2 Full / 1 Partial Baths2,870 sq. 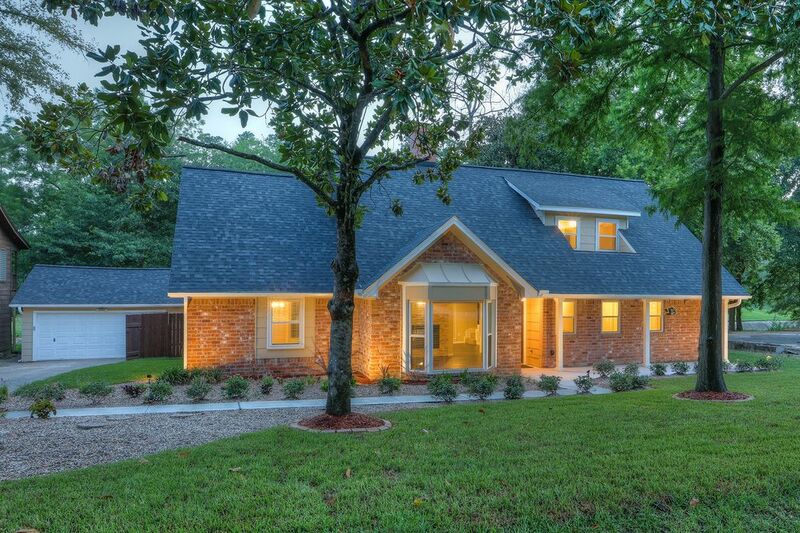 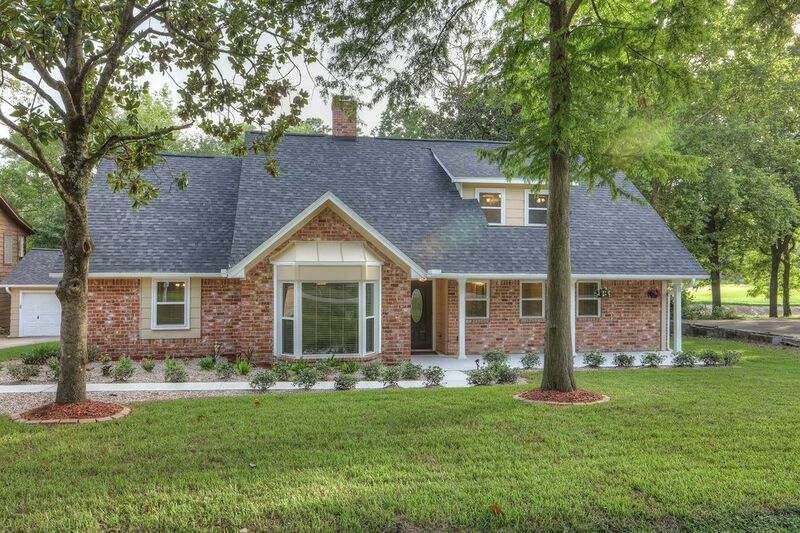 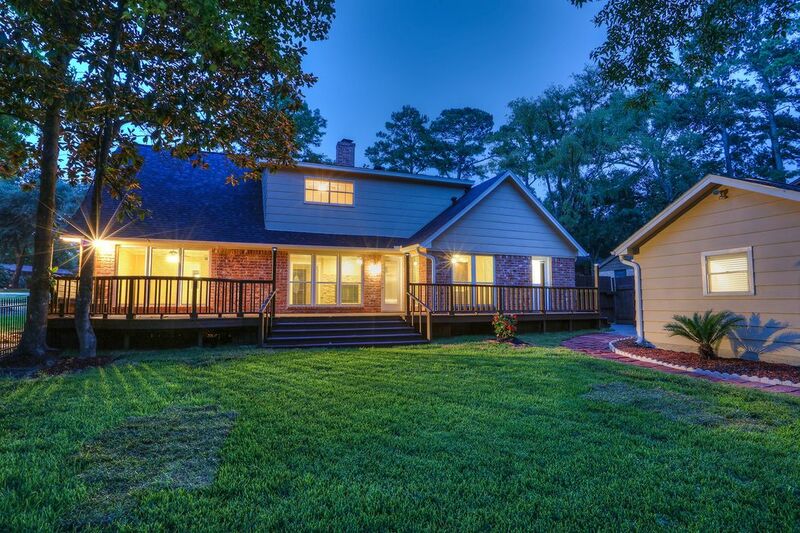 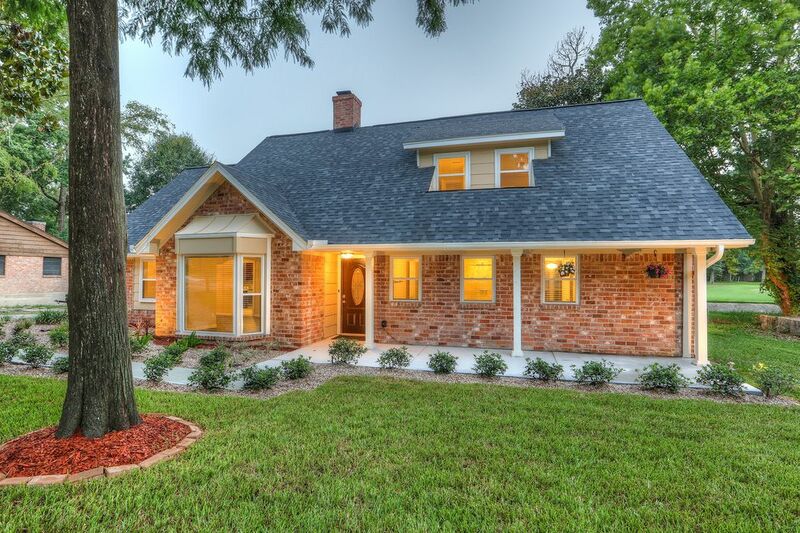 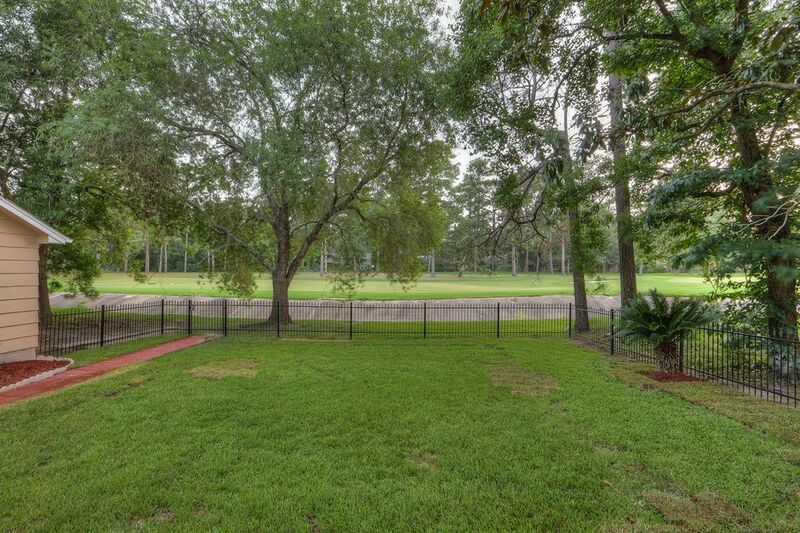 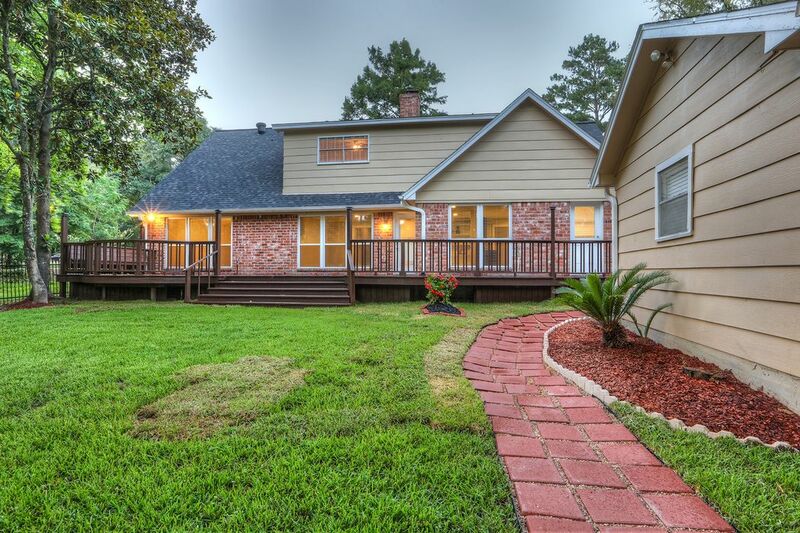 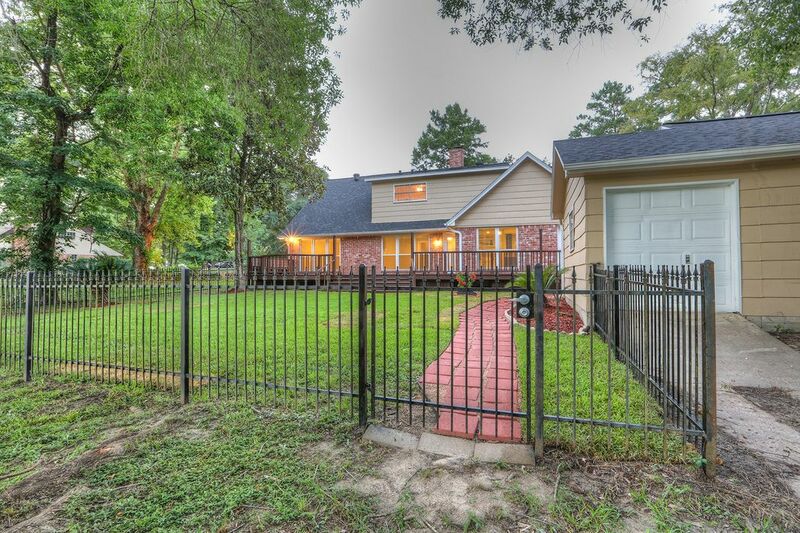 ft.
Charming 4-bedroom home nestled on a gorgeous golf course lot. 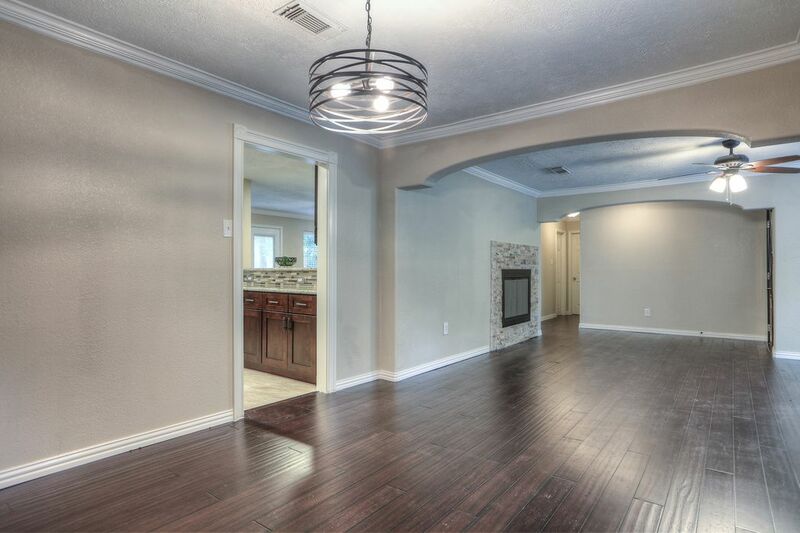 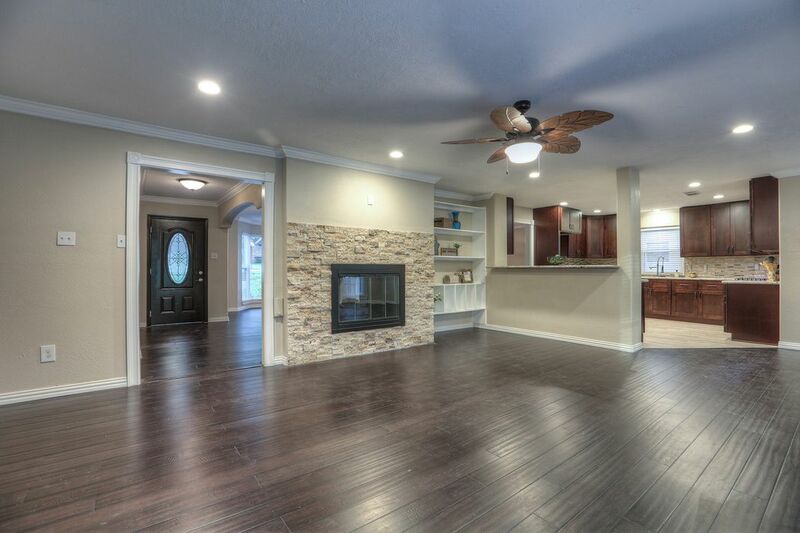 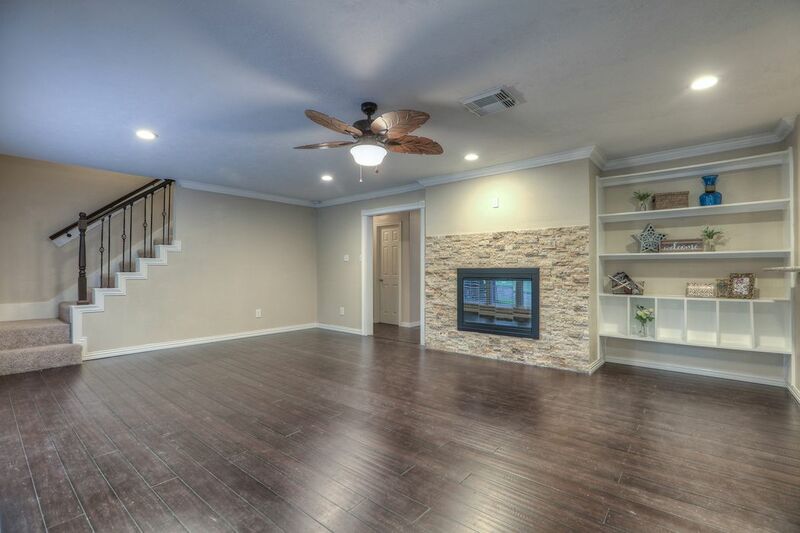 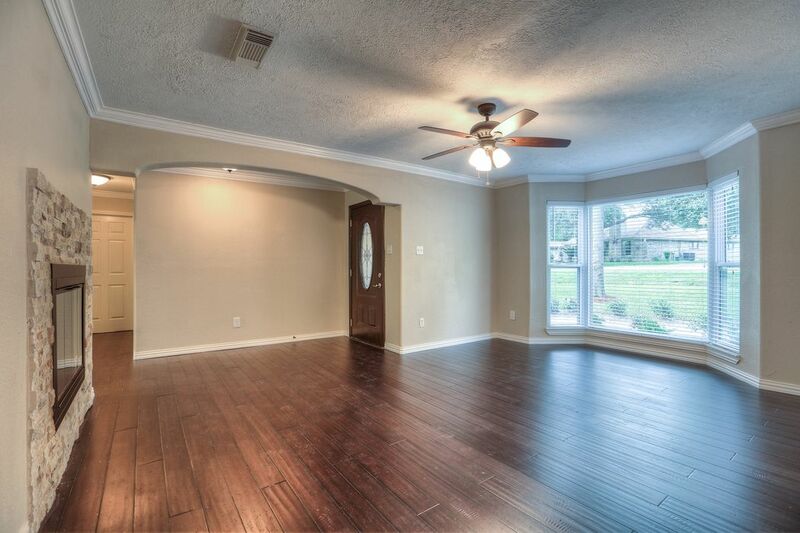 Lovely foyer boasting engineered hardwood floors and a stunning double-sided stone fireplace, which can be enjoyed in both the formal living room and den. 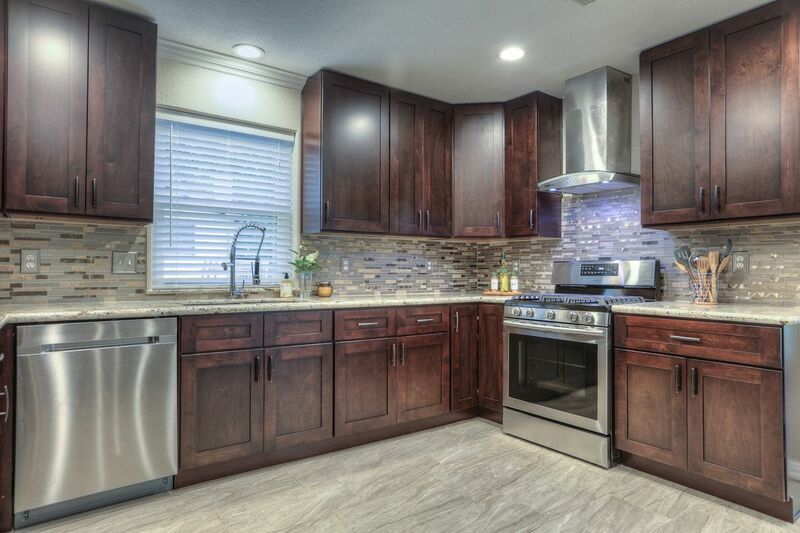 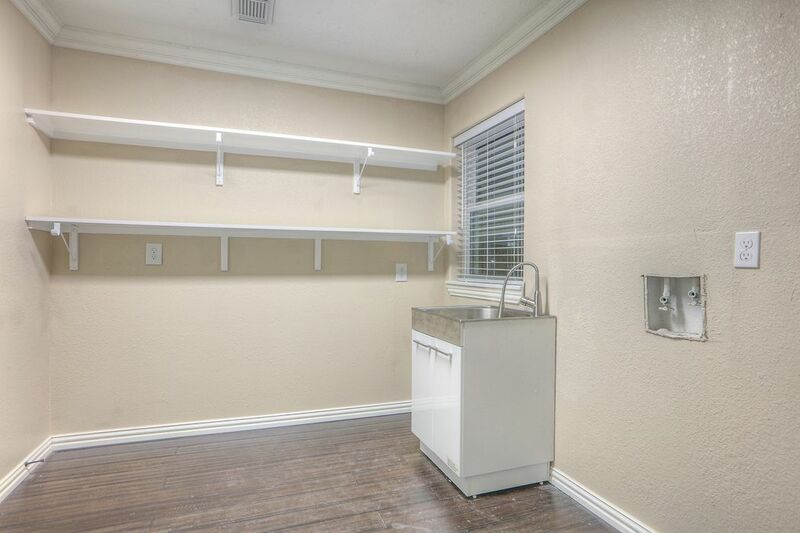 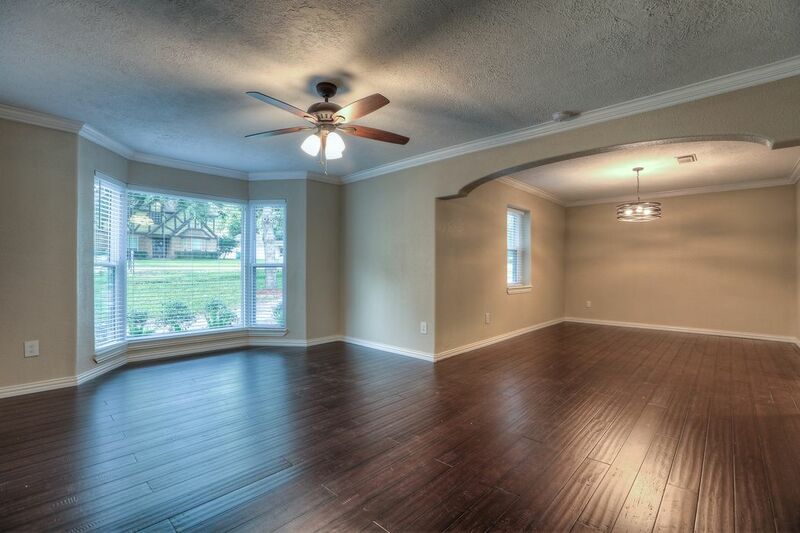 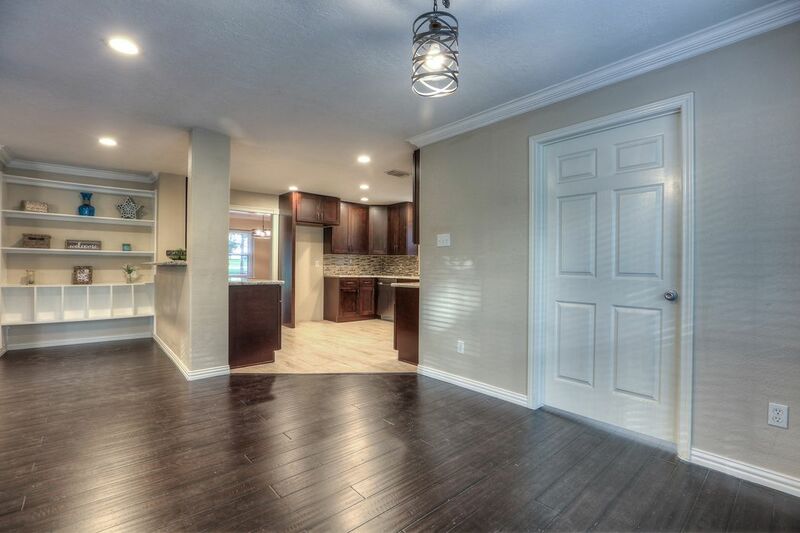 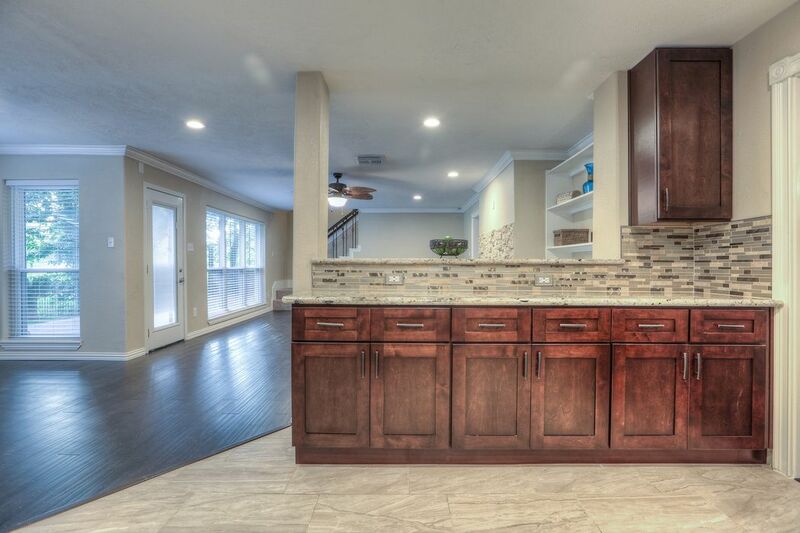 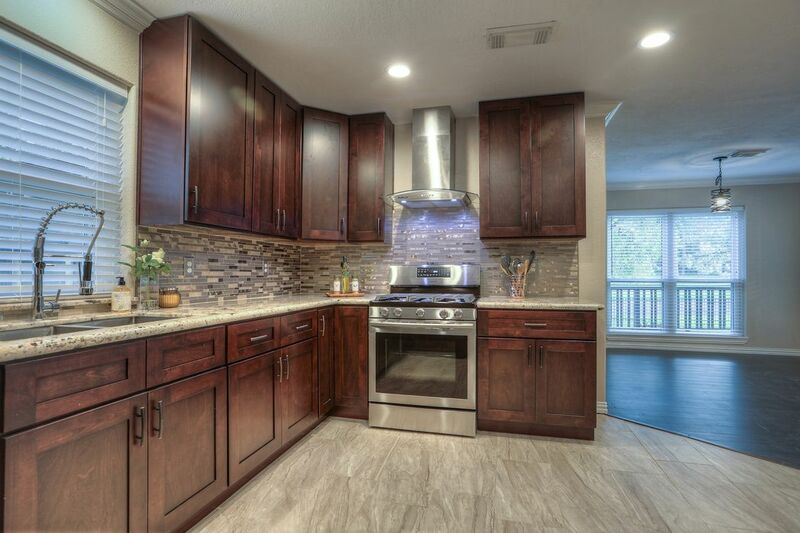 Spacious kitchen with granite countertops, custom cabinets, a gas stove, stainless steel appliances and breakfast bar. 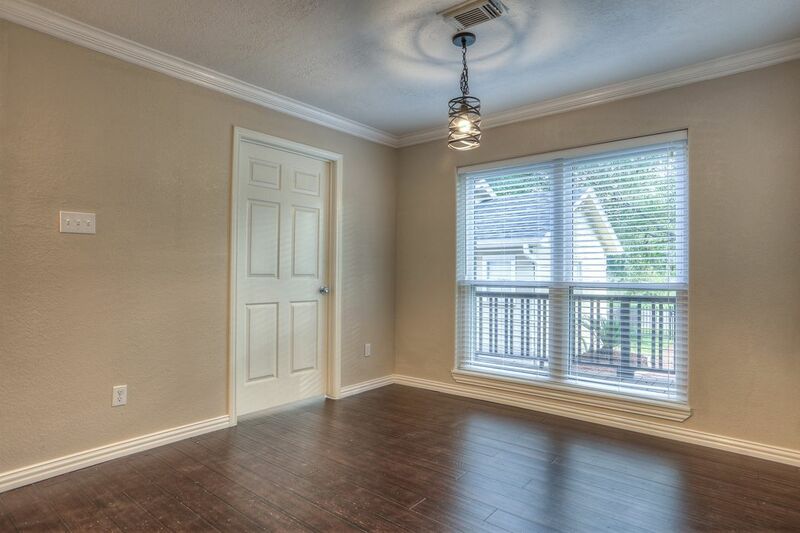 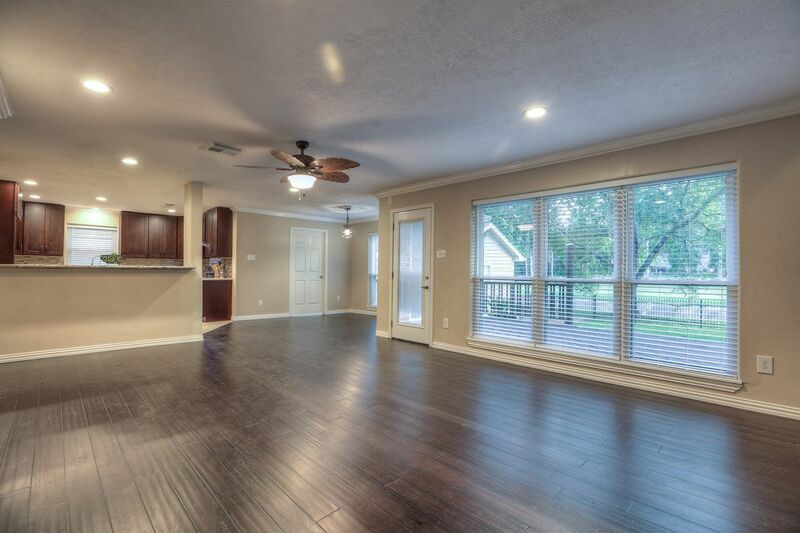 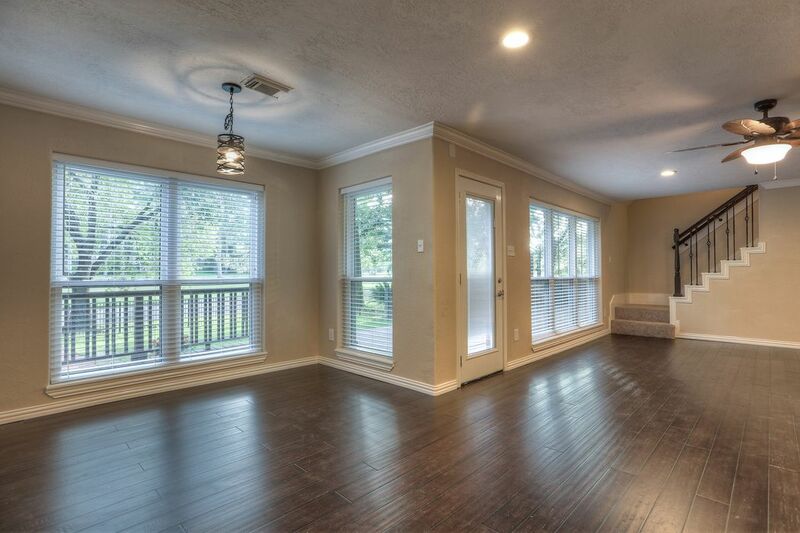 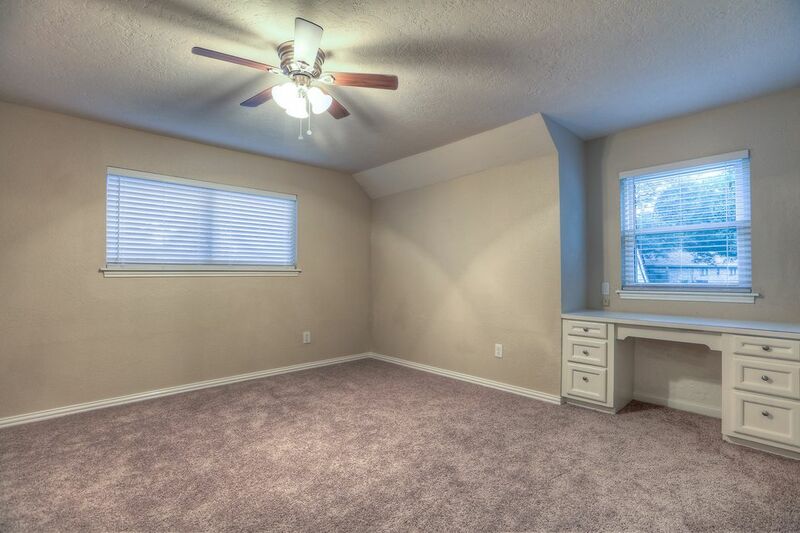 Expansive den with built-in bookshelves and picturesque views of the backyard. 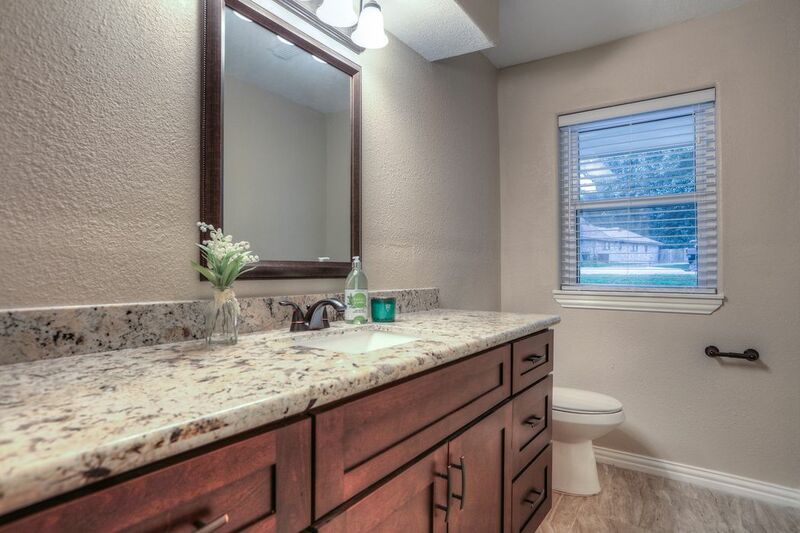 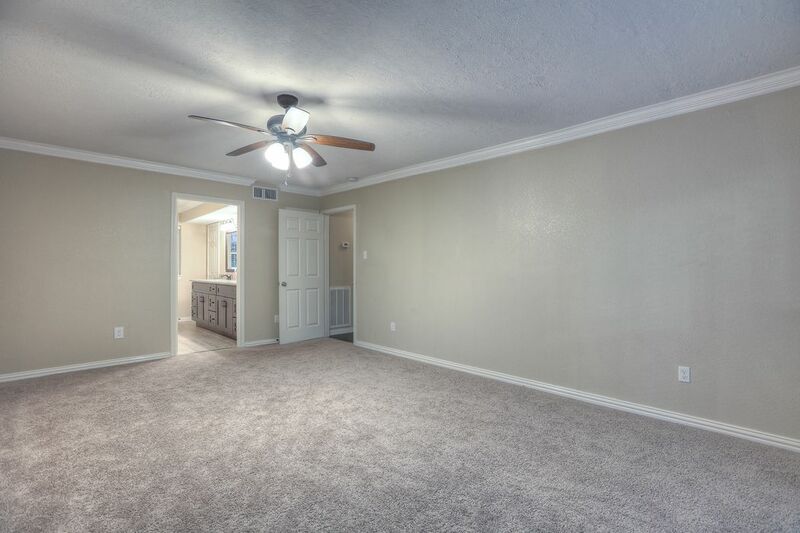 Large master bedroom on the first floor with attractive bath featuring a double sink vanity with granite countertops, a huge closet and standing shower. 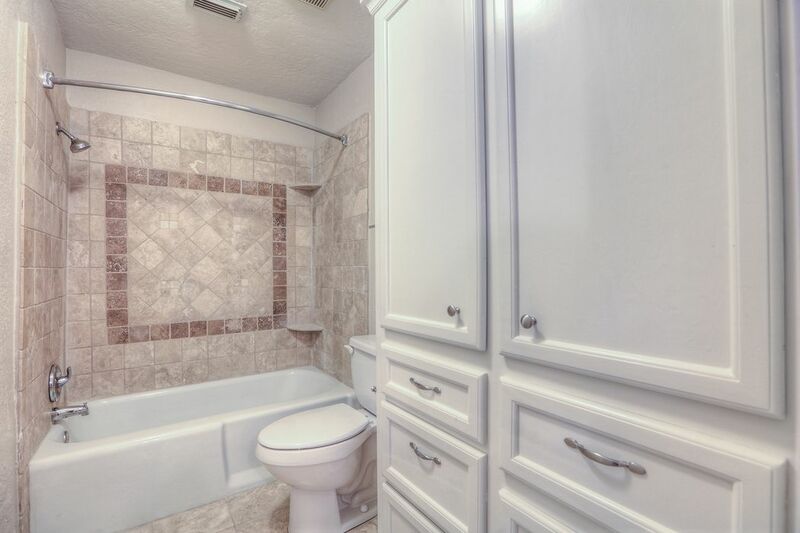 Upstairs there are 3 generous bedrooms, a full bath with double sink vanity and tub/shower combo. 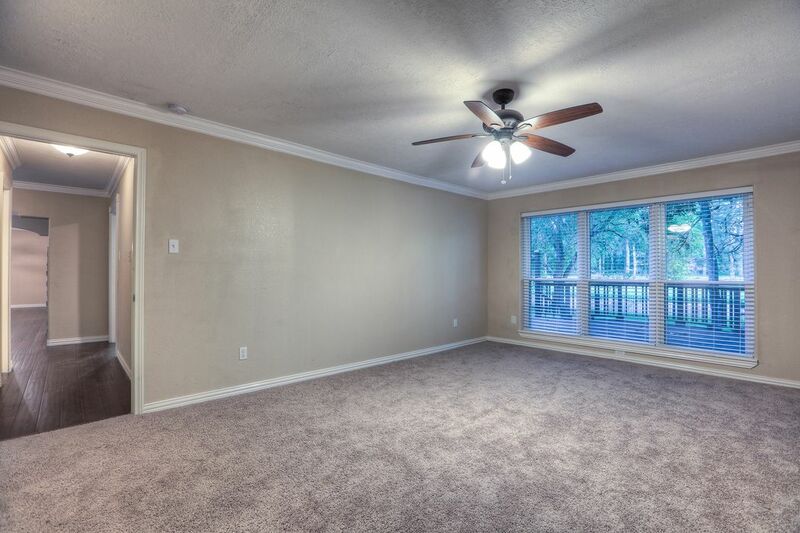 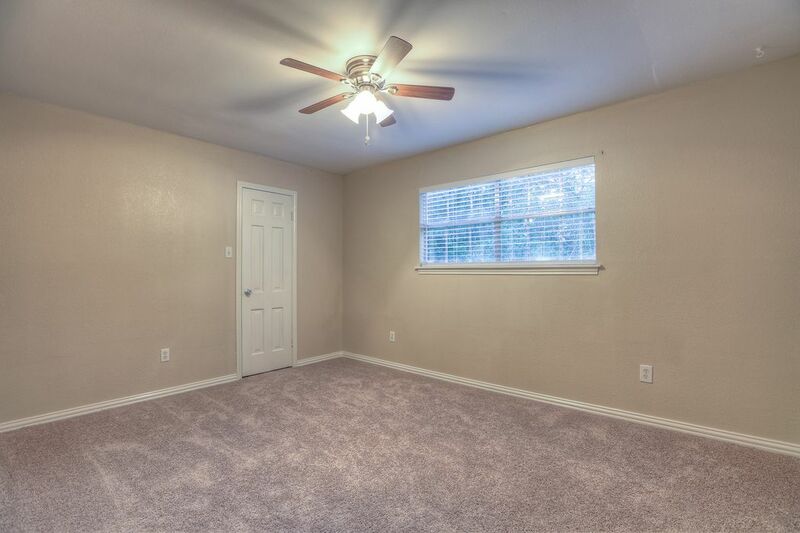 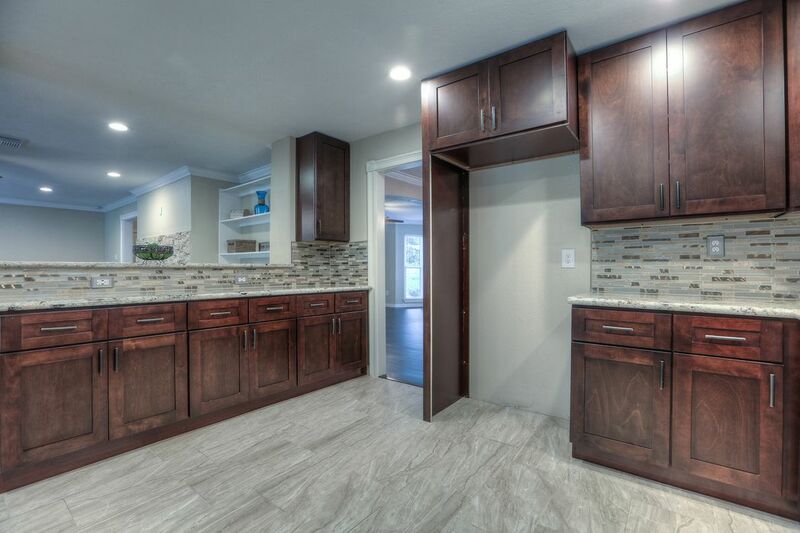 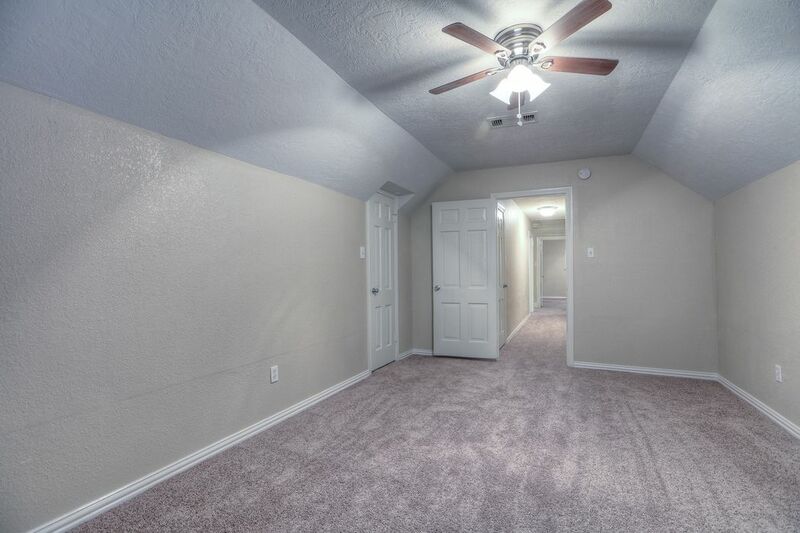 Extra storage closet upstairs and under staircase, sizable utility room with convenient sink, new windows, front yard drainage system, USB outlets, 2-car garage with extra golf cart garage and recent roof.